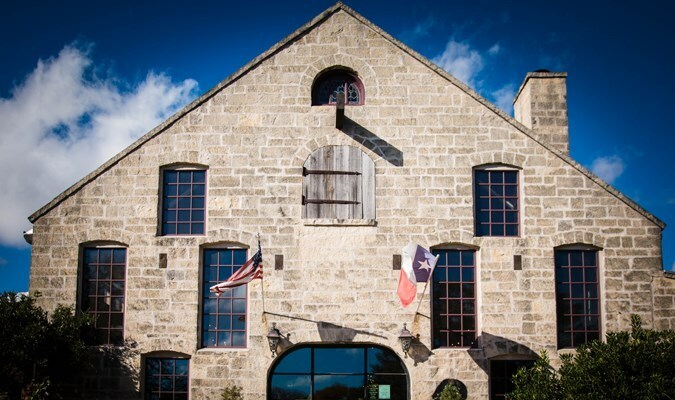 Visiting the Texas wine country with a large group? 4.0 Cellars is the perfect place to host a group of friends and family. Reserve our outdoor pavilion or one of our larger bars in our tasting room, and get ready for a good time. To ensure that we can accommodate your group, we require reservations for groups of 7 or more. Approximately 1 Hour. 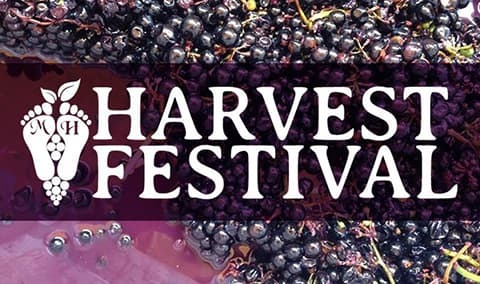 Because we represent three Texas winemakers who are constantly growing more grapes and producing more wines, we feature a wide variety of wines, and our wine tastings change frequently. We create three tasting menus from our current wines, and with each menu, you’ll try six wines. We’re sure you’ll find some new favorite wines among our many offerings. Want to secure your spot at the bar? Make your reservation now. Approximately 30 Minutes. When it comes to delicious elegance, it’s hard to beat our cheese & wine pairing. Our Texas Cheese & Wine Experience features five artisan, Texas cheeses from Veldhuizen Cheese Company along with five 4.0 Cellars dry white and red wines specifically selected to complement the cheeses. Known for their distinctive flavor and quality, Veldhuizen cheeses are hand crafted and cave aged and pair deliciously with our wines. Limited seating, 12 seats available per session, open to public until filled. Approximately 1 Hour. Prefer to enjoy our Texas Cheese & Wine Experience or Chocolate & Wine Experience with a small, intimate group of family and friends? Reserve your time in our private boardroom now. Your private server will provide you with a personalized wine tasting experience while you learn about the history of wine making in Texas. Choose your time and make your pairing selection on the next screen. Approximately 1 Hour. In our distinctive tasting room, guests may taste through an array of award-winning wines, or share a glass or bottle under the outdoor pavilion. 4.0 is a collaboration of three nationally recognized wineries - Brennan Vineyards, Lost Oak Winery and McPherson Cellars. We are located just minutes from downtown Fredericksburg, in the heart of the beautiful Texas Hill Country. We offer private tastings, wine and food pairings by appointment, live music, and a beautiful spacious venue available for private weddings, receptions, parties, corporate retreats, and more. We did the wine & cheese tasting and our host was very interesting and knowledgeable. The winery was beautiful and we never felt rushed or pressured to buy anything. Overall a fantastic experience. We enjoyed our experience very much. The private setting was nice and Carl was very entertaining. I am making his recipe for Mac & Cheese tonight. The tasting was fun and the wines were wonderful. I usually get a complimentary wine glass with tastings, though. Did we miss something?? Four of us started our Fredericksburg weekend with a pairings reservation here. Martin was knowledgeable and really personable. The tasing/pairings experience showcases highlights from the three wineries, and the cheese accompaniments were from a local artisan cheesemaker. Each pairing showed individuality and did a nice job of balancing. One pairing truly stood out as "magic," and I left with three bottles of that red blend, as a result. The facility is airy industrial, sleek and sparkling clean, and the staff was warm and welcoming. Excellent experience! Our group of 18 had a great experience tasting wines at 4.0. Dottie is a real asset who knows her wines, and know how to relate to her clients. As wine club members we purchased a half case, as disnseceral of our fellow tasters. We are very pleased with your wines, your facilities, and your team. Thanks for a great experience! If you like a crowded, loud tasting room, and a tasting that is rushed and uninformative, then 4.0 is just the place for you. My fiance and I had a great time! It was his first time doing any wine tasting and my second with 4.0 Cellars. I knew I wanted to bring him here since I had a great experience last time. We'll be back soon! 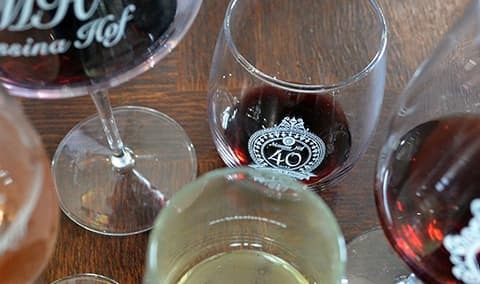 I had visited 4.0 cellars before & came back because of how great it was the first time. Do you know who made it so great? JOE!!! He is the best! My entire group loved him & we had so much fun. Seriously, request Joe at the back bar! We also love the food truck. It was great to have a decent lunch in between visiting wineries. I am glad I decided to pick up a magazine and read about the most popular places to visit in Fredericksburg, TX, totally worthy: the ambience, hospitality, quality, but above all the people, especially the very knowledgeable Jimmy made our wine tasting the most memorable experience. Cannot wait to go back!!! Great wine and accommodating over our different palates. Our group did a chocolate and wine tasting. Most of of like dry red, but one in our group likes white and sweet. They happily accommodated our request and we all loved our wine selections. Our experience was amazing! Caroline did a wonderful job entertaining us. I will definitely book again! We had a wine and cheese pairing for six. Jimmy was wonderful and everyone enjoyed a great experience. Always a great visit ?? Check in was a little confusing but it was probably because a large group arrived just before us. The outdoor setup was great. The honey and mustard samples were also great. I wish there was a larger selection of cheese and maybe some fresh bread (rather than just crackers or dehydrated options) but even then I had a great time. Will come better prepared next time. Would definitely recommend. Our private host, Mike was funny and engaging. He made it an experience not just a wine pouring. Having Santa there was fun for the grownups! Always a great time with great wine! Excellent in all respects. First impression rates 5 stars! Ambiance rates 5 stars! Hospitality rates 5 stars! And I would recommend a visit to 4.0 Cellars to anyone who visits the area! This was our last stop of the day and it was the best. The place is bright and clean. We enjoyed the wines we tasted and the info in them. I joined! Enjoyed our wine tasting experience at 4.0. Warm greeting (was very cold day 42 degrees) and friendly smiles. We had a reservation. Nina was our guide through 4.0 Cellars explaining that 3 wineries make up 4.0. Nina made it fun and informative during our tasting. We loved sharing stories back and forth! It was crowded, however with our reservation we had a space waiting for us. Our server was friendly and we enjoyed the time with her (as every time). Love the shopping purchased marinades and cheeses. very enjoyable, informative and our host was very sociable. I would suggest though providing more crackers and water to rinse wine glass when tasting reds and whites. Wonderful wine tasting experience. The people were friendly and very helpful. It was easy to shedule a tasting ready for us when we arrived! No waiting and personal service. Extremely knowledgeable host, able to explain the history and significance of each wine and cheese, linking them together with regional history. The tasting was well done and well-matched but the staff is what makes this winery go from good to outstanding. Upon arrival I loved the decor and modern architecture. A food truck was there. It was a Saturday, and our reservation for wine tasting was set up. I thought with a reservation we would have someone that would be knowledgeable and easily understandable. Unfortunately, the server was soft spoken and we could barely understand her above the others in the room. Wines were okay and weak tasting. My cousins and I had a great time during our cheese and wine pairing experience. Jimmy did a wonderful job explaining the background on each cheese and wine pairing. He was very personable and we all had a good time. Looking forward to visiting again and experiencing the chocolate and wine pairing. 4.0 Cellars is always on my list to visit each year in Fredericksburg. Hostess was very amicable. Liked the snacks that were there to try. Bought 4 bottles of wine. Great time! Carl was delightful and very knowledgeable. Cheeses and wine were fantastic. Quite honestly I was pleasantly surprised. Enjoyed our first visit to 4.0. The service was great even though they were very busy on a Saturday afternoon. Matt was a fun and gracious host. Us joining any type of club membership on the first visit is unusual, but you do reap the wine club benefits right off the bat. The following day's "members only" event was very well run and enjoyable. Great facilities and venue. CJ was our host for our private 4 person tasting and she was wonderful! She offered such a fun and interesting story behind each winery and cheese. We thoroughly enjoyed our time learning about 4.0 Cellars as we were celebrating a birthday and a retirement.